The most prominent Universalist Biblical scholar, Cone was born on November 16, 1835 in Lincklaen, New York, and grew up on a farm. He was educated at the New Woodstock Academy and Cazenovia Seminary, and then taught school in Manlius, New York. After that he attended St. Paul’s College in Palmyra, Missouri, where he became an instructor in Greek and Latin for a few years. Cone thought he would enter the Episcopal priesthood, but in seminary found he could not hold such orthodox views. After he returned to New York for a period of private study, he was invited to preach Universalism, first in Cazenovia, and then on a local circuit. He became a Universalist minister, and briefly served in Little Falls, New York. In 1865 he was appointed professor of Biblical languages and literature at the Canton Theological School at St. Lawrence University. Here he began to make his name as a scholar, contributing many articles on Biblical criticism to theUniversalist Quarterly. He and Ebenezer Fisher were the only two members of the faculty. Cone became president of Buchtel College in 1880, and stayed until 1896. During this time he continued his Biblical studies, and he published his most significant works: Gospel Criticism and Historical Christianity (1891) andThe Gospels and its Earliest Interpretations (1893). He also became co-editor of the New World in 1892. Buchtel had severe financial problems when Cone assumed his new position, and a dearth of students. He tried to expand the student body to include many more non-Universalist students, so that by the end of his term they were no longer the majority. He also attempted to broaden the religious affiliations of the faculty. Unfortunately, he was not altogether successful. 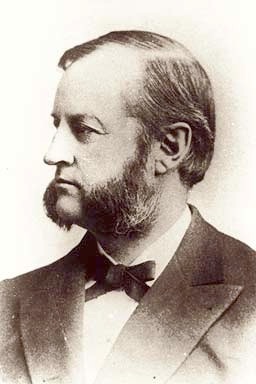 Cone came under great pressure from the Ohio State Convention to resign, as it was felt he emphasized scholarship too much with the result that his presidential duties such as fund raising and community relations had suffered. During the 1890’s Cone was active in the American Congress of Liberal Religious Societies, an organization that helped broaden ties with other groups. After he resigned from Buchtel in 1896 he served a brief two-year ministry at a Unitarian church in Lawrence, Kansas, and then went back to St. Lawrence where he served as Richardson Professor of Biblical Theology until his death on June 23, 1905. Cone was the most effective of the Universalists in understanding science and religion as complementary in light of modern Biblical criticism.